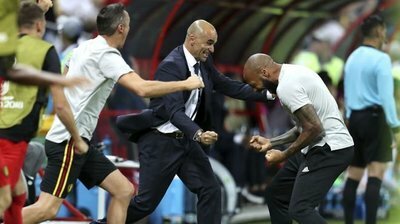 As Belgium completed their 1-0 win over England to top the group and enter the more difficult side of the draw, it seemed Roberto Martinez’s men were doomed to fail, as a potential clash with Brazil loomed. A stunning 2-1 win over the five times champions however has given Belgium all the confidence they need ahead of their clash with rivals France. 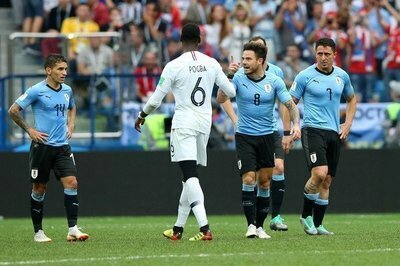 Not only did the side, packed with world class stars shut out a highly fancied Brazil, they were ruthless in taking their chances, something which may be cause for concern amongst the French squad. Didier Deschamps men have grown in confidence as the tournament has progressed. A win over Lionel Messi's Argentina, followed by ruthlessly dispatching Uruguay has allowed the squad to truly believe that the World Cup is their destiny. 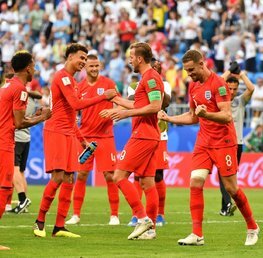 A stuttering start to their campaign during the group stages left many to doubt whether there was enough experience and commitment with a talented squad, but they have more than answered those critics. A difficult game to call this, with so many world class players on either side, it may just come down to either a mistake, or hopefully a moment of brilliance. The Belgian side have more than enough match winners, with some of the very best creative players still in the tournament. Chelsea’s star man Eden Hazard has been relatively quiet so far, but he has the star quality that maybe needed, and Belgium will be relying on his ability to break down a rugged French backline. For Eden Hazard to score two or more goals is 18/1 with Betfred. France also have some of the world’s biggest stars, and none more so than Kylian Mbappe, who was sensational against Argentina, and although quieter against Uruguay, the PSG man worried the experienced backline of the South Americans so much, they dropped off him, which created space for his teammates. The teenager has so much talent that it is difficult to discount him from being a potential matchwinner for his side. Kylian Mbappe is 8/1 with Betfair to score the game’s first goal. 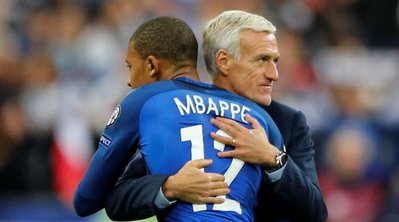 Although many nations within this year’s tournament would have considered reaching the semi-finals a success, Didier Deschamps knows that anything less than capturing his nations second World Cup crown a failure. 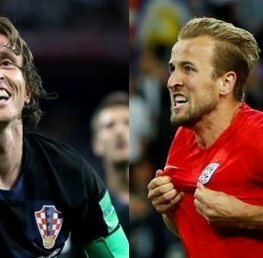 Due to having the best squad at the tournament, he will know a defeat to Belgium will not only be seen as a failure but will potentially cause him to face ridicule. The midfield battle will be crucial for both teams to win in order to get a result here, with France having the edge in this area, this could be one of the defining aspects of the match. 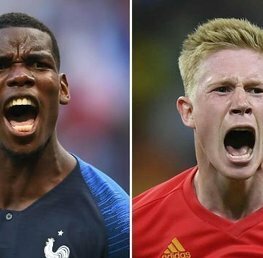 With N’Golo Kante, Blaise Matuidi and Paul Pogba, their midfield looks too strong for Belgium, and something Martinez's men will have to overcome if they are too reach their first final. Paul Pogba seems to have answered many of his critics following a frustrating campaign with Manchester United by becoming a crucial element in his side’s impressive displays so far. The former Juventus star could be decisive in a match which should be a closely contested battle. For Paul Pogba to be named man of the match is 12/1 with William Hill! 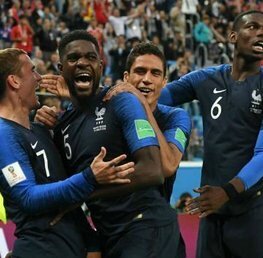 France vs Belgium World Cup Semi-Final Betting Offer! New Customers can get France at an enhanced 50/1 or Belgium at 60/1 to win 90 mins. Max Stake £1. Winnings paid in free bets. Full T&Cs Apply. 18+|Gamble Aware. Visit Betfair & Claim Offer! With a host of stars within their squad, this looks like being the best chance that Belgium have ever had to reach a World Cup final, with just the small matter of a strong France blocking their path to glory. With the likes of Kevin De Bruyne, Romelu Lukaku and Hazard, Belgium have more than enough talent to beat any team, and with their backline more than easily closing out an attacking Brazil, they are more than capable of beating neighbours France. Martinez has moulded his squad to his specific way, including playing Maroune Fellaini, despite the Manchester United man failing to impress during the domestic season. Playing as an enforcer for the creative De Bruyne has allowed him to showcase his talents and has become a crucial element for his side. 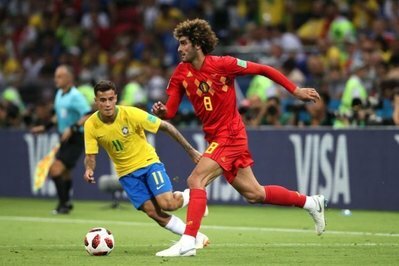 Fellaini’s physicality is his best asset but has been known to let it overflow in tight games, and as there is so much riding on this game, the former Everton man could allow it to become a problem. For Maroune Fellaini to get the first booking of the game is 14/1 with Betfred! France: 13/10 - Visit William Hill! Draw: 2/1 - Visit Boylesport! Belgium: 34/9 - Visit Betfred! With such a tight game in prospect here, anything could happen. Both sides will fancy their chances with so much talent in both camps, France with their talismanic Antoine Greizmann, Belgium with Romelu Lukaku, it could come down to which side can hit their frontman the more accurately. With France seeing off Argentina and Uruguay, they will be flying confidence wise, so that could be the crucial factor. France to make it to the final.... just. France to qualify by penalty shootout: 8/1 - Visit Betfred! Kylain Mbbappe to score the first goal of the game: 4/1 - Visit William Hill! A penalty during 90 minutes: 7/1 - Visit Betfair! Please note all odds are correct at the time of publishing (18:30 9th July 2018) and are subject to change.